Dee & Dee Removals offer Removals in the Bexley area. We cover the whole of Bexley Borough for local, National, European and Worldwide removals. Our purpose built vehicles and highly trained crews are on hand to ensure your removals goes as stress free and smoothly as possible. We offer free insurance on all relocation by road up to the value of £25.000. Over 25 years experience. Call free to arrange a visit to your residence from 1 of our relocation consultants at your convenience or alternatively fill in our online quotation form. Following our recent removal from Bexley to Cheshire 21-23 Oct we would like you to know that we were very satisfied with the way the removal was carried out. In particular, we would like to commend the team engaged in the move, namely Ricky New and Malcolm Watson. 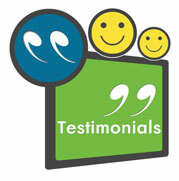 They were punctual, polite and thoughtful at all times, and worked extremely hard. Please convey our appreciation to them.